It doesn’t look like a battle, does it? 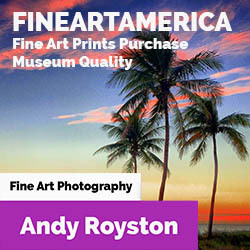 The Everglades seems to be much the same as always, with the slow, shallow stream of water – what Majorie Stoneman Douglas famously called the River of Grass – flowing slowly south. I recently visited the Miccosukee Tamiami Trail Reservation Area – a beautiful lily-pad dotted expanse of water alongside U.S. 41, known as the Shark River Slough. Experts consider this one of the most pristine parts of the Everglades, yet the area is under constant ecological threat. Water is the key resource here. 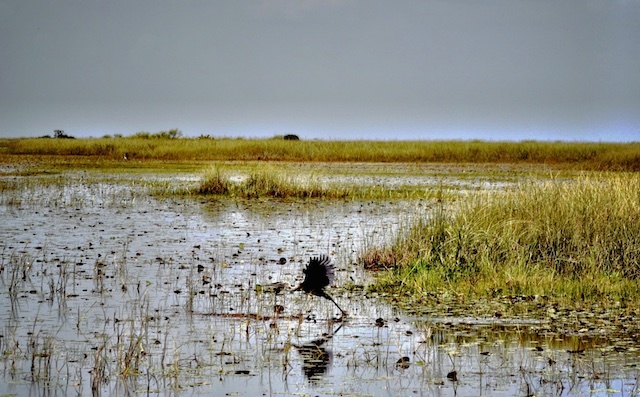 The wild Everglades, with its diverse range of animals and plants has subject to all sorts of encroachment and mismanagement with the ever growing population of South Florida making its presence felt. 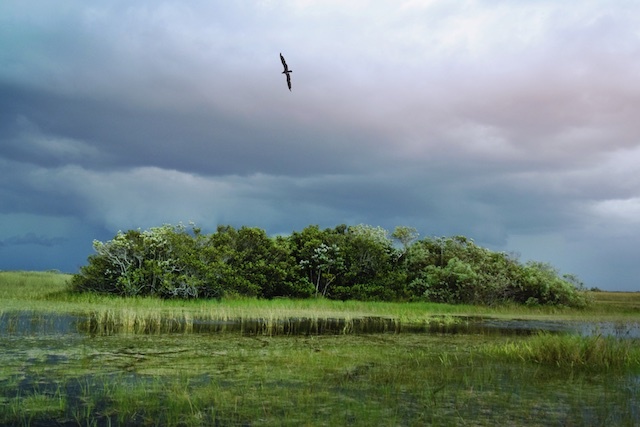 The interconnectedness that makes the Everglades so unique also means that it is a fragile and sensitive environment. Water is swept southward, replenishing a freshwater aquifer and providing habitats for plant and animal species. The eco-system that feeds to Everglades is vast – so much bigger than the National Park that we see on maps. A hardwood hammock – a dense stand of broad-leafed trees. THese teardrop-shaped hammocks can include species such as gumbo limbo, mahogany, live oak and red maple. The bird flying above is a Snail Kite. The Everglades system stretches 200 miles north to Lake Okeechobee and includes rock quarries, sugar mills and power plants, and a network of dams and levees built years ago by the U.S. Army Corps of Engineers. The unintended consequences of the area being progressively drained, canaled, controlled, filled-in and polluted are vast and long-lasting. What happens in the north has consequences many miles to the south. Water too high or too low in the wrong places, together with urban and agricultural development, has created a seemingly unsurmountable crisis compounded by pollutants. Phosphorus, nitrogen, sulphur, mercury and pesticides have all entered the eco-system at different times. 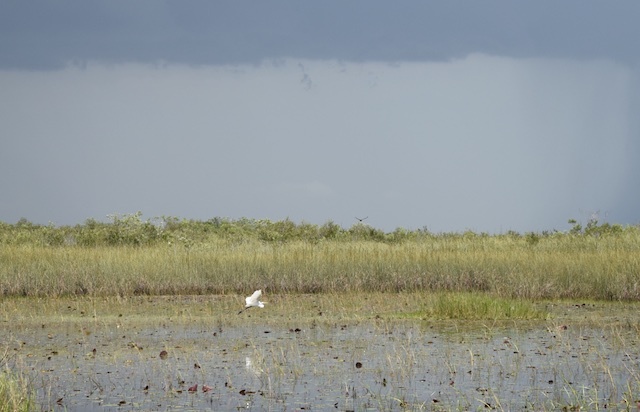 A white egret across an expanse of everglades waters. Those pretty water hyacinths with the lavender flowers are actually an invasive species that can double its spread in six days. Meanwhile cattails are beginning to choke the waterways, a sign that the phosphorus and nutrient levels are too high. Rising phosphorus concentrations in surface waters increases the growth of organisms such as algae and duckweed, which prefer a higher level of nutrients. The Florida Department of Health warns against eating most fish caught in the Everglades. Why? Mercury levels. Acording to Friends of the Everglades the great majority of the sulfur repsonsible for this comes from industrial sugar cane growing in the Everglades Agricultural Area (EAA), south of Lake Okeechobee and north of the SFWMD’s treatment marshes. Compared to a generation ago there’s little wildlife – deer that were once plentiful have virtually disappeared. River otters, bobcats, raccoons, and rabbits that were common 20 years ago are scarce now. 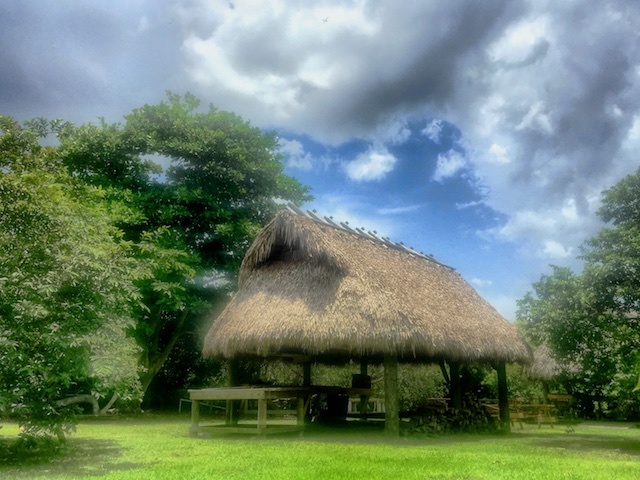 Down here in South Florida the leading voices in the battle of the Everglades are the the Seminole Tribe of Florida, with more than 2,000 members, and the Miccosukee Tribe, which has about 600 members. Both tribes have braved decades of warfare and disease to establish their communities on the small tree-island hammocks and well know the decline in fish stocks and wildlife. A traditional chickee. In the 1800s, the Florida Seminole and Miccosukee tribes were chased into the Everglades by American troops. They survived by constructing shelters that could quickly be built and taken down. Cypress logs and palm fronds – from sabal and palmetto palm trees – which were readily available and the Seminoles used these resources to build chickees. If there was an event that highlighted the fragile nature of the Florida eco-system it was the Indian River Lagoon disaster in 2011. The 156 mile Indian River Lagoon lies at the mouth of the St. Lucie River and stretches all the way from Palm Beach County up to Cape Canaveral – a complex lagoon ecosystem, that began unravelling into a death spiral in 2011. A ‘superbloom’ of phytoplankton and brown algae killed off 73 miles of seagrass, the estuary’s prime nursery for life. The result was catastrophic – 135 manatees, 300 pelicans, 76 dolphins all perished. The scientific arguments about what happened are still going on. Could it have been temperature extremes of 2010 when frigid temparatures killed micro-plankton and thousands of fish? Could it have been the run-off from the hard rains of March 2011, that washed dirt, slime and chemicals from yards and streets into the lagoon system? Could it be fertilizers? Run-off carries nitrogen and phosphorous (the active ingredients in most fertilizers) into the waters to spur excess algae. Grass clippings, especially, can carry these two nutrients. Could it be the drift algae, which had been choking out the seagrass for years? There’s also the stuff that is called “black mayonnaise”, soil run-off from sod, construction sites, farming and erosion combined with rotting algae and dead plants. 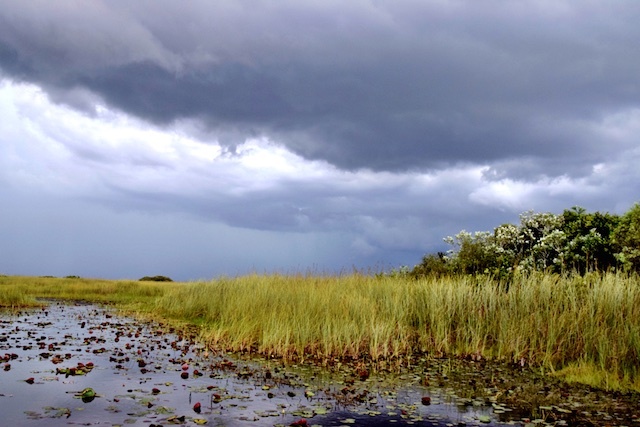 Is it any wonder that the Seminole and Miccosukee experts – many of whom have direct experience of managing the Everglades for generations – have deep concerns about the future management of the waters. There are signs of progress, as Florida state could potentially buy 46,800 acres of U.S. Sugar Corp.sugar cane fields and other property south of Lake Okeechobee; land that could be used to get more water flowing south to the Everglades, instead of draining that water for South Florida flood control. This, experts say, would begin to make up for decades of draining to make way for farming and development. 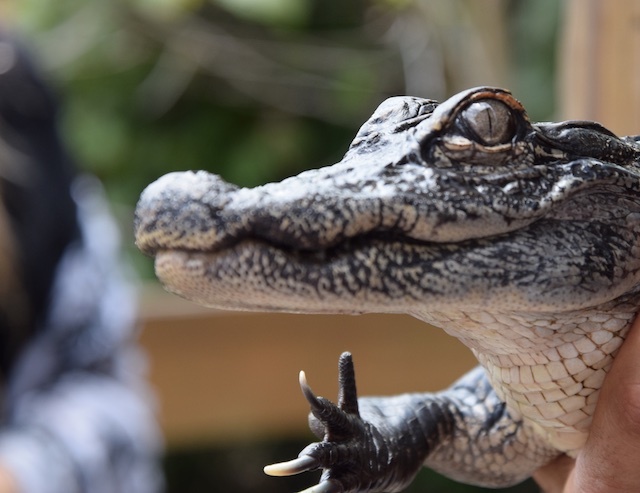 A young alligator in a rescue sanctuary, Miccosukee Tribal Village. Like a canary in a coal mine, the biological health of key Everglades species are seen as indicators of the ‘glades health. 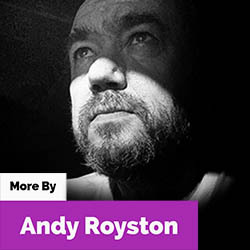 The species have been particularly chosen because of their sensitivity to changes in the eco-system. These include crayfish and snails, wading birds (Wood storks, white ibis and the roseate spoonbill), crocodiles and alligators, pink shrimp, oysters and the Florida Bay algae blooms all play a part. Monitoring these species can show us the impact of freshwater flows delivered to the southern estuaries, of concentrations of various toxic compounds and give us strong indications of the overall health of the Everglades. It also provides a way to monitor and prioritize nonindigeonous species such as the burmese python, and the asian swamp eel. 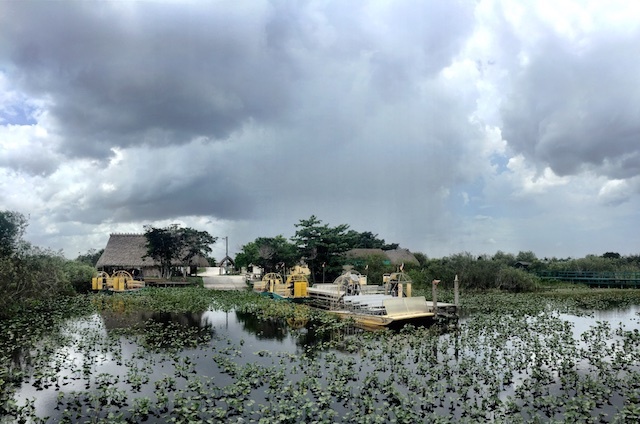 Airboat rides are the best way to explore the waters of the everglades. My hosts on this trip were the good people of the Love The Everglades movement, a non-profit organization dedicated to raise awareness of the environmental, structural, cultural and spiritual problems plaguing the Everglades to this day. Several key issues are of concern – including the future of the L-28 Interceptor Canal which cuts right into Miccosukee waters. L-28 was cut back in the 1960s as part of a big plan to create a continuous levee between Big Cypress swamp the everglades. Our guide, Houston Cypress (an Otter Clan member of the Miccosukee Tribe of Indians of Florida) has concerns that the L-28 interceptor canal still has the potential to bring in high phosphorus ‘new water’ into the heart of the Everglades National Park. Another issue of concern is the Rivers of Grass Greenway, (ROGG Bike Path) which is part of a just-approved network of cycle paths in Florida state. The goal of the ROGG is to extend a hard-surfaced path, 12 to 16 feet wide, from Krome Avenue at the Miami end of Everglades National Park out west to the outskirts of Naples/Marco Island. In the middle, there will be a three mile spur to Everglades City. ROGG is talked up as environmentally friendly tourism attraction that could change Florida’s image as a bad place for cyclists. The environmental threat, say Love The Everglades, is clear: Even with sections elevated on bridges or boardwalks, building the pathway would create yet another obstacle to water flowing through the Everglades. It also intrudes on the rights of indigenous peoples, who feel that they’ve been left out of the planning process. 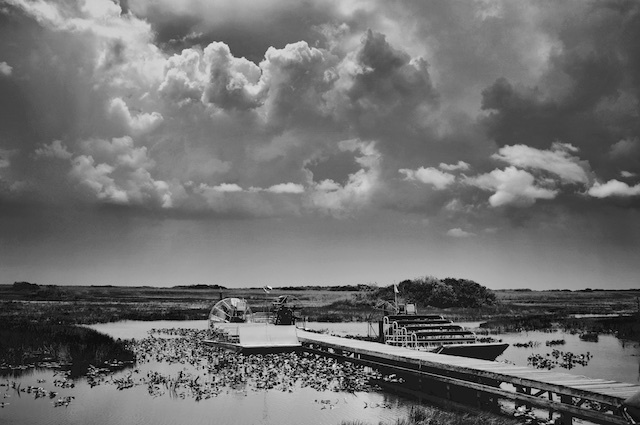 The final Everglades issue in South Florida is the Tamiami Trail itself, built in the 1920s to connect Miami and Naples atop a levee. Scientists soon realized the road acted like a dam, blocking the vital flow of water, creating pollution north of the Trail, and decimating species on each side of the road. A one-mile section of the trail was at last raised onto a bridge in 2013, at a cost of $80 million, and more funds have recently been allocated to extend this by another 2.6 miles. Oh, Merry I couldn’t agree more. Oh to turn back time. It’s the huge network of dams and levees that have done the most harm, together with the two main roads across the the state, Alligator Alley and Tamiami Trail. They should have been viaducted all the way really. The really amazing thing is how shallow the water is – just 1ft in many places. There’s a fresh water aquifer below, which gives Miami, Fort Lauderdale and Palm Beach its drinking water. I’ll be looking more into how that works I think. It’s so interesting to read more about the area of the Everglades. Sometimes I wish we had a reset button, but I wonder if our decisions would have been any different. Looks like it was a near perfect day for photography. The sky’s color adds such drama!